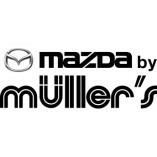 Mazda by Müller’s Trier offers professional service. Mazda by Müller’s Trier works within the agreed-upon budget. Sehr nettes und kompetentes Personal. Gute Beratung.